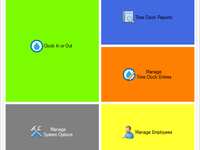 Businesses, Schools and companies requiring simple time tracking for their staff. 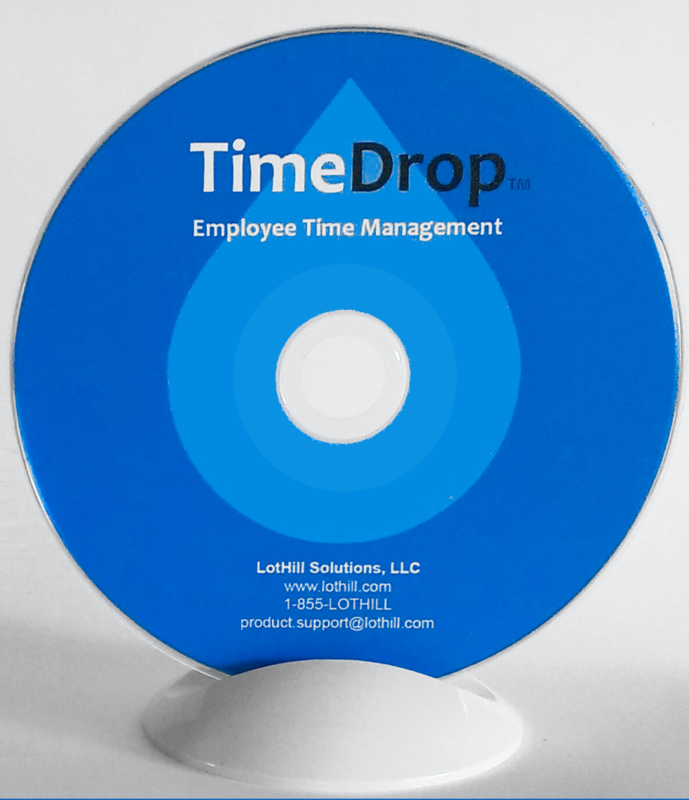 TimeDrop Time Clock Reviews Recently Reviewed! Pros: Very easy to use. Every features is clear and works for me. Cons: Can use it on only one PC unless I buy separate license for each PC I need it on. Overall: This is a great program and very easy to use. It has everything I need for my crew of 8 part-time employees. The "but" was added because this program can be used on only one computer. I have it on the server and it will not work on any of the PCs it serves unless i buy a separate license for each PC. Which means everyone has to clock in on the server and all of my adjustments for payroll have to be done on the server. I like the program. Recommendations to other buyers: It would be so much better if I could use one license on two PCs. That's my only complaint. 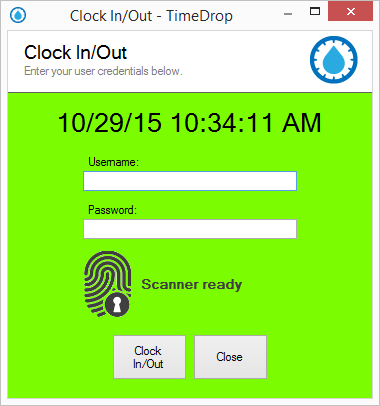 Pros: TimeDrop was easily implemented, multi location with central accounting friendly, and the price is excellent without the reoccurring fee's of a hosted time clock. Cons: The only con is the inability to customize the reporting layouts but that keeps the price down. Overall: We switched company software last year and our new system didn't have an integrated time clock. 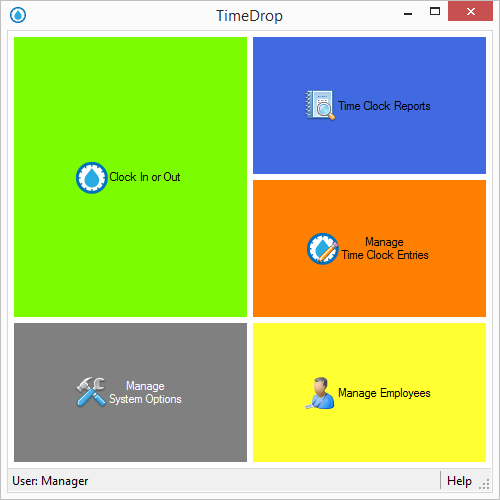 TimeDrop more than fit the need we had and at a very competitive price. 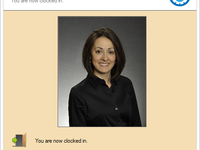 I had a tech support issue yesterday when deleting an errant time entry on an employees time card. The tech support was actually very quick and efficient considering I don't pay for support. 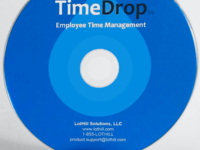 I would highly recommend TimeDrop to anyone seeking a no nonsense time clock that is easy to network for multiple locations. Cons: Anyone can make themselves a superadmin if they're techsavvy enough. Overall: Had issues with the license on my TimeDrop PC(I reformatted and used a new name for the PC so the system was telling me I had used all my licenses). James was really helpful in getting the problem solved. Pros: i like what this software was intended to do. I think if it worked like it was supposed to, it would be perfect. Cons: the biometric scanner is terrible. it does not work half the time and disconnects on a regular basis. I have to install the scanner nearly twice a day everyday. Overall: This is a great way to keep up with employee time without having concerns over buddy punching. However, the U.are.U. scanner does not work well or perform as it should. I have a difficult time with this system and I have had to go in and enter employee hours more often than the scanner has worked. I have had this system about a month now. If i did not accept the final purchase, I would have asked for my money back. Hi Melissa, thank you for your honest feedback. These scanners have been very solid for us over the past few years and I am sure there is something simple we can do to correct the issues you are facing. I don't see any open tickets from you regarding this issue, but we offer free support so please reach out asap and we will get you taken care of. I put our contact information in my signature. This is a very simple solution so my guess is that something simple with the machine (hibernation, updates, etc) may be causing the disconnects. Bad reads could be a couple things; however, we can eyeball those too when we¿re logged in to check things out. I have also reached out to you directly via email and will follow up with a phone call later today if needed. Pros: We have it installed at our two locations. Just upgraded with the feature of automatic clock out after certain time, but have not checked the feature. Also it's only one time purchase and installed on your computer and not on anyone else's server. Also email support is good. Pros: I find the software easy to use and is very efficient. Cons: I find it annoying when we see double crediting of the time. I like it, but it needs a couple of fixes. Pros: Easy and lets me configure multiple departments with different pay rates. Cons: Knowing whether you are clocked in or clocked out. Hello, thank you for using TimeDrop. I am happy to hear you are finding it useful. 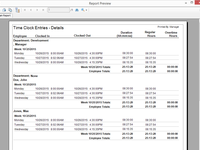 You can export the reports using the Export button in the toolbar after you preview the reports. 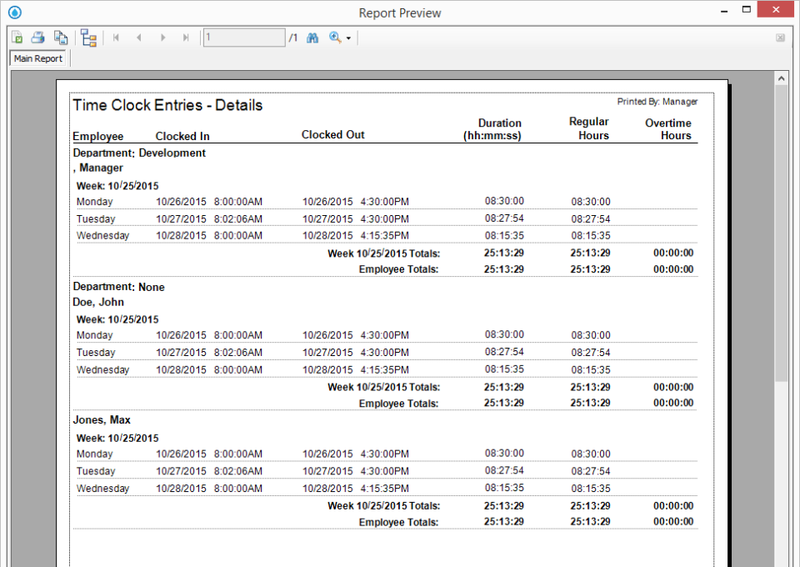 All reports can be printed, or export to PDF or MS Excel. Please let us know if you have any additional questions. We also have a number of TimeDrop videos on YouTube. Pros: Its simple, not too much bells and whistles. We only need to keep track of who came in and left and when that happened. Overall: The product is exactly what I wanted and the price was great. Customer service was excellent. I did not give full stars on ease of use as it took quite a while to find the right driver for the fingerprint scanner to be installed. Recommendations to other buyers: I did not realize that some people don't finger print well so the software doesn't recognize two of my employees finger prints. they have to sign in and out manually. Pros: It's very accurate, easy to use, and set up. Cons: Sometimes it won't read fingerprints. Overall: The way you can set time in clock is great. Pros: very easy to use. Nice colorful screen. The finger scanner is very nice, high tech looking and sleek design, not clumsy. Cons: no way to recover the password. I think the "directions" pages should be numbered. It was confusing. I preferred the directions over the YouTube. No way to recover a password or hints given. Overall: I do not know yet. I am still locked out. Pros: Easy to use. Saves time and paper. Accurate calculations. Cons: When the new update came we had a little issue to update the software to newer version. They need to improve that. Overall: CSR does very quick and nice job to support and taking care of issues. Overall have good experience and will recommend it to every one. Works great and highly recommended. Pros: Installation and setup was fast and easy. 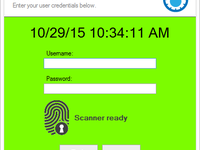 Very user friendly for employee and administrator. The price was reasonable also. Overall: It works perfect for us and I do not find any issues. Just need to read the user's manual before installing the network version. Pros: The software is easy to set up and use. It only took a few minutes to figure out how to operate the time clock . Cons: I don't see the option of automatic, daily lunch break- time deduction. This is something we had before. Comments: I really like TimeDrop. I have encountered one thing that I would like to change. The drop box on the clock in/clock out management page needs to be in some alpha order so that it is easier to locate people. Comments: The one thing missing from your software is the ability of the manager to correct a missed punch, and then have all following punches get moved into their correct positions. If an employee misses a punch on Monday afternoon, and the supervisor does not catch it till Friday, it requires that manager to edit all of the punches following the missed punch. Comments: Pros: EASY to use and getting started is FAST! Customer Support is quick to respond and has super follow up. 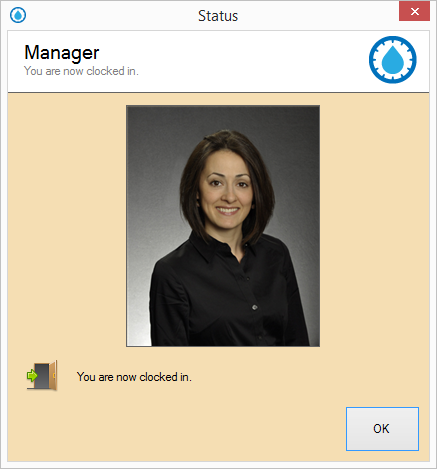 Overall impression: Intuitive interface, quick start, super support...overall - great product! Comments: Product was easy right from the start. Reading user manual, installing, navigating set-up all was just the kind of application busy office workers would like to use. Comments: And finally found TimeDrop - LOVE it! Needed a bit of technical help when licensing due to some weird 'testing' I did but the support was quick, professional and thorough. Couldn't recommend it more. Comments: No issues whatsoever! I purchased this to keep track of the staff of my small medical practice. Does the job! Overall: The program was not user friendly. I installed and attempted to use it, but it was too "busy", the directions were unclear and I was frustrated. I haven't looked at it after the first two weeks that I purchased it.